I thought you might be interested in a New Zealand startup that is using a crowd-sourcing model to gain funding to bring a new product to market - this could be an option for other New Zealand companies. The product is called quebee, a personal video camera, is being developed through the partnership between two local companies: technique and Blender Design, members of PDMA-NZ. They are using the increasingly popular crowd-funding platform: Kickstarter – here’s a link to the quebee project: www.kickstarter.com/projects/quebee/quebee-your-own-personal-cameraman. For those of you not familiar with Kickstarter, it's a crowd-funding platform where individuals or companies are able to gain funding to support projects, ranging from films, games, and music to art, design, and technology/products. The idea is that if the project is able to meet or exceed a specified target funding amount within a set time period, they receive the amount pledged. If they don’t meet the target, then all the pledges will be returned. In return for the successful pledges, there isn't a specific financial return or stake in the company as with traditional investments - instead there are awards, ranging from a “we love you” for small pledges, to being one of the first to receive the product itself when it is launched, through to larger amounts for other companies that may want to beta test or develop for the product. But as with all investments, there are risk’s. I’m certainly not suggesting this is going to be the case with quebee, but there is the risk that the product may not launch or fail. But the difference here is that the amount at risk for individuals is a lot less than the traditional funding methods where there would be fewer people making greater investments. The other interesting thing about this approach is the social aspect - not only are you getting the funding required, but also a lot of social buzz around the product and interactions with potential customers who are passionate about the product – check out the comments section on the quebee project. They have set a target for quebee of USD$100,000 over a period of 28 days. At the time of writing this blog (about 48 hrs into the campaign), they already have 174 backers and achieved 20% of their target of USD$100,000, so they are well on the way to meeting the target amount. 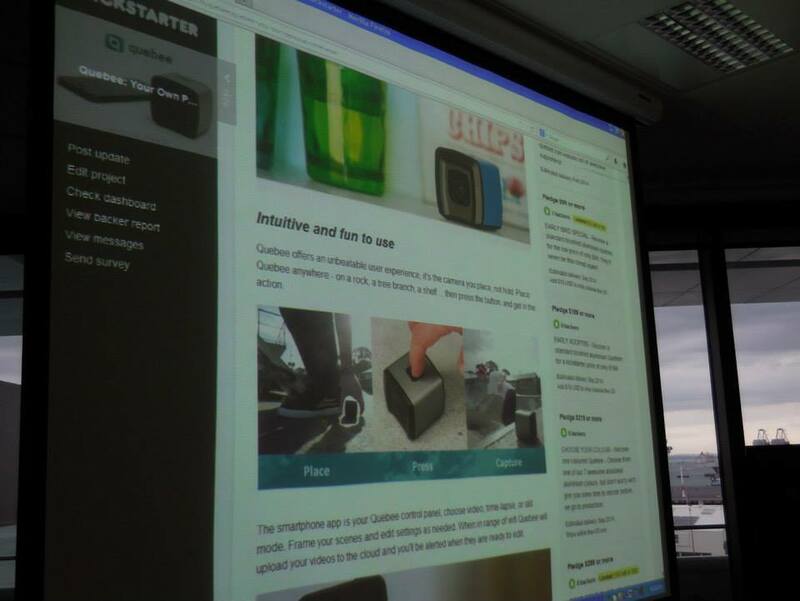 I attended the quebee Kickstarter Launch Party on Monday evening where we were the first in the world to view the full promotional video (you can view this on their Kickstarter page), got to see working prototypes of the product and witnessed the start of the campaign. Here are the co-founders launching the kickstarter campaign - from the left, Oliver McDermott, Ben Bodley and Ben Thomsen. 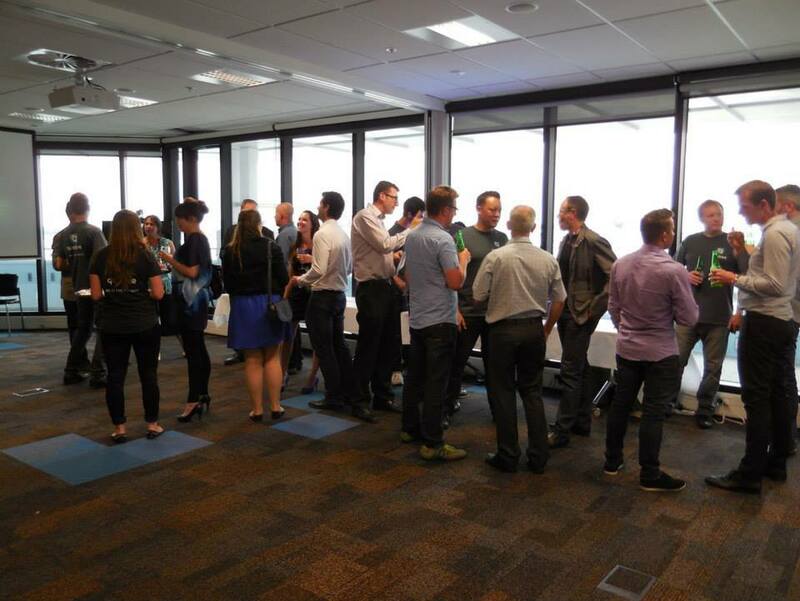 We wish quebee all the best and I’m sure they’ll keep us up to date on progress and share with PDMA-NZ members the experience and learnings from this as another option to gain funding to launch new products.